There’s no beating time spent on a luxury yacht cruise in the Caribbean or Med on your superyacht but, should you feel the urge to go onshore and explore these exotic locations, how better to do it than from a bike? Of course, after a few days of indulgence tackling the hills of Monaco on a push bike might not seem quite so appealing. Here’s our round-up of the best electric bikes for when you need a little extra power. Equipped with a Bosch PowerPack battery that delivers up to 110 miles on a single charge, Raleigh's new Motus electric bike is ideal for uncovering hidden spots in undiscovered destinations. Available in classic, Tour and Grand Tour versions, each is available in a range of Low Bar or Crossframe styles and come with Shimano gears and handlebar displays indicating battery charge, speed, riding mode, distance and range. The Tour and Grand Tour ranges also offer front and rear lights and luxurious extras such as a Selle Royal Scientia saddle and a choice of tyre sizes. Space a little tight in the toy box thanks to your extensive range of water toys? 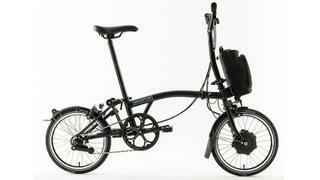 Brompton, the brand whose foldable bikes have become staples for modern city commuters, has just launched its first folding electric bike offering the perfect solution for compact explorer yachts. Weighing in at just 16.6kg, including battery, the Brompton Electric folds down into a 58.5cm x 56.5cm x 27cm backpack and features four assistance modes to make the most of its 250W motor. If you're looking for something which already has the superyacht seal of approval then Hi-Power Cycle's (HPC) Revolution M Pro is the electric bike for you. Two of these powerful onshore explorers are already safely stowed in the garage of ShowBoats Design Awards finalistCloudbreak where their precision engineering and ability to tackle tough terrain will make them ideal for adventurers on board this 72.5 metre explorer yacht. Hand-built in the USA, the Revolution can reach a top speed of 45mph with a range of up to 100 miles and offers a huge range of custom personalisation options so you can create a bike as unique as your yacht. 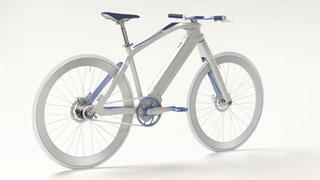 Unveiled in August 2016, Pininfarina's entry into the wold of e-bikes caused quite the stir at Eurobike thanks to its sleek design and futuristic aesthetic. Created in collaboration with Netherlands-based bicycle company Diavelo, the E-Voluzione features an aerodynamic carbon fibre frame, seat post and wheels all weighing just 16kg and powered by a removable 36-volt battery. It is available in three different styles - Elegance, Hi-Tech and dynamic - with each one taking cues from a different part of the brand's famous luxury car heritage. 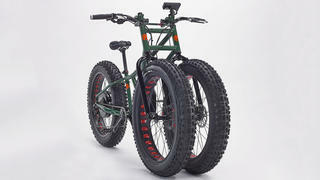 Built with off-roading in mind, the Rungu Electric Juggernaut is the only E-Bike to have when heading out to discover Arctic terrain or untamed jungles from your explorer yacht. The lightweight aluminium frame and powerful 2,100 Watt motor also result in extra control over wet or loose ground and offer a top speed of 20mph. 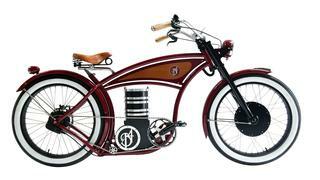 Escape marinas in serene style with this electrically assisted bike inspired by a 1912 Harley-Davidson. 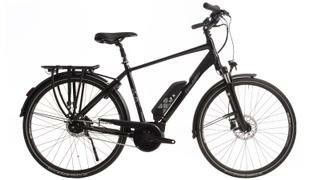 Fully charged, the B4 E-Cruizer has a range of 200 to 300km, and a civilised top speed of 25km/h. You always need to pedal, but as you do the e-motor kicks in so you need never break a sweat. 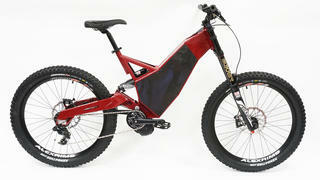 Each bike is custom-made, so expect a three-month build time. Combining style and speed the new Tracker from American brand Vintage Electric is perfect for short jaunts ashore. Boasting a top speed of 36 mph and a range of 35 miles, it takes just two hours to fully recharge and even allows you recharge as you decelerate using an innovative regenerative breaking button. 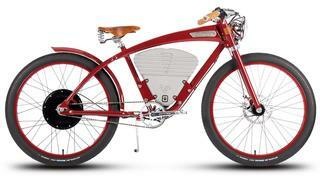 However, what really make this e-bike a winner is its impeccable good looks. Available in four retro colourways (or your choice of custom colour), the frame is based on classic WW2 era motordrome racers, is topped with one of Brooks' covetable tan leather saddles and is available with plenty of equally chic accessories. Unveiled at 2015’s LikeBike Monte Carlo exhibition, the electric Bicicletto by SPA is the most futuristic bike in our round-up. 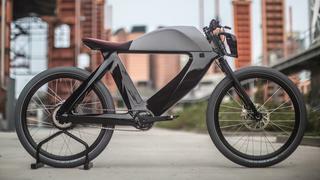 Crafted in carbon fibre to match the company’s famous cars, this limited edition E-Bike weighs in at just 24kg and features a faux gas tank, which doubles as a storage compartment and a top speed of 45 km/h. There are also options to customise the look and performance of your bike. 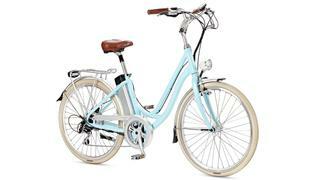 Without a doubt the prettiest E-Bike around, the Kensington by Volt melds vintage push bike style with modern power and technology. With a reliable 250W brushless battery from industry leader Bafang, the Kensington boasts almost silent power assistance for up to 55 miles on one charge and comes in blue and white colourways.